Jan Pieter Krahnen is a Professor of Finance at Goethe University’s House of Finance. He is a Director of the Center for Financial Studies (CFS) and the Research Center SAFE. His current research interests focus on the implications of the 2007-2010 financial turmoil for banking, systemic risk, and financial market regulation. His publications appeared, among others, in the Review of Economic Studies, the Journal of Financial Intermediation, the Journal of Banking and Finance, and Experimental Economics. Krahnen is a CEPR research fellow, and was President of the European Finance Association in 2011. Krahnen has been involved in policy advisory on issues of financial market regulation, most recently as a member of the High Level Expert Group on Structural Reforms of the EU Banking Sector (“Liikanen Commission”), implemented by EU Commissioner Michel Barnier. 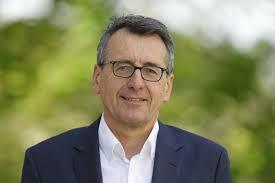 From 2008 until 2012 he was a member of the Issing-Commission, advising the German government on the G-20 meetings. He is also a member of the Group of Economic Advisors (GEA) at the European Securities and Markets Agency (ESMA), Paris, and a member of the Academic Advisory Board of Germany’s Federal Ministry of Finance. Copyright ©The Risk, Banking and Finance Society 2016. All rights reserved.